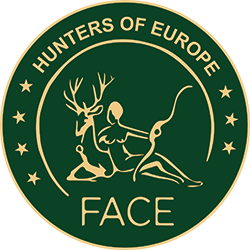 Dortmund, 30 January 2019 – Today, the European Federation for Hunting and Conservation (FACE), and the European Commission organised a high-level conference on “Preparing European Hunters to Eradicate African Swine Fever” at the “Jagd und Hund” exhibition in Dortmund, Germany. The conference was attended by experts from the hunting community, scientists, the European Commission, the European Food Safety Authority (EFSA), the World Organisation for Animal Health (OIE), national authorities as well as key stakeholders from EU farming and pig meat sectors. All stakeholders attending the conference expressed their deep concern about the spread of African swine fever in Europe. Currently, there is no known treatment or vaccination for ASF despite a substantial amount of research. Although the disease does not affect humans, it can impact all aspects of hunting and wildlife management where ASF is present. This is evident from eastern Europe and the Baltic states as well as in Belgium where it is causing a wide range of problems for farmers, hunters, wildlife managers and the multi-billion-euro pork industry. In front of a large audience, FACE President Mr. Torbjörn Larsson, opened the conference by stating: “Hunters are the eyes and ears of wildlife and have a key role to play in eradicating ASF but we need to be properly equipped to deal with the disease in the most effective way. We have a lot of experience to offer and authorities and other decision-makers should ensure that we are a key part of the debate at every level”. The European Commissioner for Health and Food Safety, Mr. Vytenis Andriukaitis, expressed his support from the highest level of the European Commission, although he was not able to join the event due to unavoidable commitments. Through video message, he acknowledged the extreme challenges linked to ASF and stated that the control and eradication of African swine fever is a high priority for the EU as it poses a serious risk to an important economic sector as well as to wild boar populations and the environment. Commissioner Andriukaitis also underlined that it is crucial that every single hunter is aware and pays attention to how easily the disease can spread. He concluded that: “Hunters are uniquely placed to make the difference and determine the outcome of these battles for better or worse as they may contribute to increasing or reducing the spread of the disease: your role is crucial in this battle”. Ms. Julia Klöckner, Federal Ministry of Food and Agriculture, who joined the conference by video, acknowledged the huge threat from ASF, particularly to big economic sectors. She stressed that diseases like ASF don’t know any boarders and complemented the cross-border focus of this international conference. She added that the hunting sector understands the need for cross-border cooperation and the need for effective awareness-raising measures. Other key speakers included the European Commission, the European Food Safety Authority, World Organisation for Animal Health, experts from the hunting community and the farming sector. All shared their evidence and presented their experiences on best practises in eradiating ASF. Recommendations are currently being finalised which will be promoted throughout Europe. Mr. Hartwig Fischer, Deutscher Jagdverband President and Mr. Karl-Heinz Florenz, President European Parliament’s Intergroup “Biodiversity, Hunting, Countryside” also gave their perspectives on preparing European hunters to eradicate African Swine Fever. DOWNLOAD THE PRESENTATIONS OF THE SPEAKERS.